Know someone who can’t focus on anything except golf? 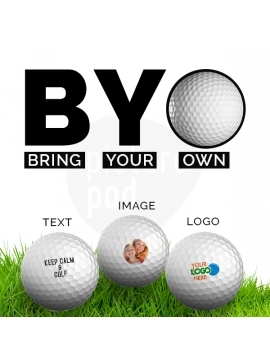 Now you can present them with a personalized souvenir bearing the message for an event, your company logo or a memorable date printed on a golf ball. A true golfer values the quality of a golf ball. Now you can customize the Titleist DT TruSoft or the Pinnacle Soft golf balls for a distinguished look. 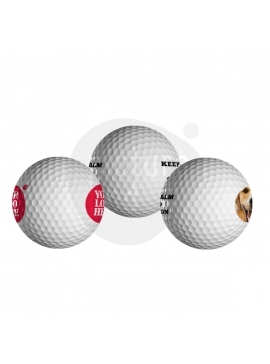 Personalize non-branded golf balls, if you wish to gift printed golf balls as souvenirs. 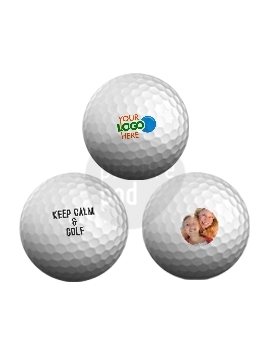 Picture POD’s in-house printing helps you realize your vision by developing unique prints for golf balls that bear your message. Minimum order - 1 Set (12 pieces).